There is not a lot of information available about Paramount Insurance. We believe it owned by a company called Motts Acquisition (although good luck finding that out or anything of much help on their website which looks like it was designed in 1995). Clearly, it is a small company. It has .2% of the Maryland car insurance market. It is ranked 55th in market share in Maryland. But the reality is that our firm sees Paramount far more often than 2 out of every 1000 cases? Why? Because Paramount insurers higher risk drivers. These folks are a higher risk for a reason: they cause more car accidents. In our opinion, the only language Paramount Insurance understands is a clenched fist. The chances of getting a reasonable settlement offer are unbelievably low if you do not file a lawsuit. Our lawyers have won millions of dollars in both settlements and verdicts against insurance companies in Maryland. We fight every case we accept as it if was the only case we have. If you want us in your corner, call 800-553-8082 or get a free online consultation. 2018 Update: Paramount is in bankruptcy. The company is no longer writing new policies. Will claims get paid? There is no guarantee. But there is reason to believe there is a good chance that they will. Our experience with Paramount has rarely been good. They have few insurance adjusters and most of the ones that get most of the Paramount claims our firm has handled are extremely difficult to work with on accident claims. Returning calls is a challenge. We have had cases where we have had to file lawsuits against Paramount where it was clear our claim exceeded the policy limits. We always thought maybe it was a negotiating tactic. Now that we see they are in bankruptcy, it paints a clearer picture. This company was a train wreck. If you have a large case, expect to have a harder time getting Paramount to pay its policy limits than you have the underinsured motorist carrier. We have had file lawsuits against Paramount Insurance insureds where it was clearly a waste of time because the underlying claim was worth far more than Paramount's policy limits. In terms of guilty by association, Paramount Insurance teams up with MAIF at times, selling property damage coverage to supplement MAIF's (now called Maryland Auto Insurance) liability insurance. The adjusters we have dealt with at Paramount are Tim Stevens, Monica Lucas, Stacy Byrd, and Ahlia Goldsborough. This insurer uses different law firms to handle their claims. 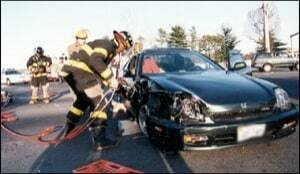 Bodie, Dolina, Smith & Hobbs, a good Towson law firm, seems to handle most of their Maryland vehicle crash lawsuits. But their actual address is 6326 Security Blvd # 200, Gwynn Oak, MD 21207. Why do they use a P.O. Box? Like a lot of things with Paramount Insurance, it is a mystery. If you have a potential car accident injury claim and you need a lawyer to fight this insurance company, call our accident attorneys at 800-553-8082 or get a free online no obligation consultation on your claim.